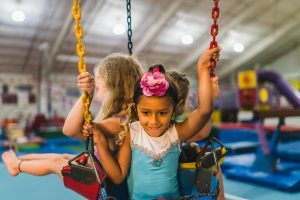 For the best indoor playground in Overland Park, send your child to Emerald City Gym. 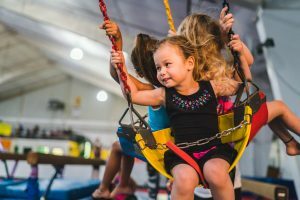 Our indoor play area is perfect for playtime for kids to kids to run, jump, and make new friends. 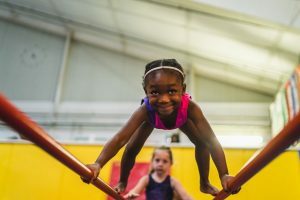 Whether your child is in preschool or older, we offer a variety of options for family fun. For more information, browse below. 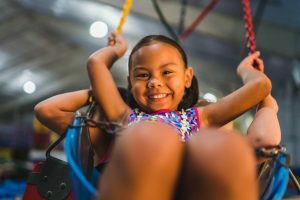 Children ages 4 through 12 years will have a blast in our huge indoor playground which includes in-ground trampolines, 12 ft rock wall, rope swing into the giant foam pit, slides, a maze, slam dunk basketball and more. 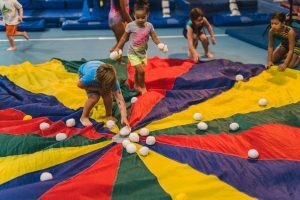 The Open Play times listed below are for children ages 4 through 12 years. 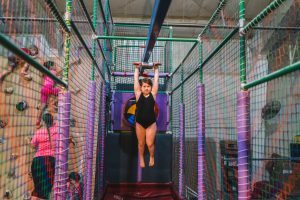 Children will have a blast in our huge play area which includes in-ground trampolines, 12 ft rock wall, rope swing into the giant foam pit, slides, a maze, slam dunk basketball and more. 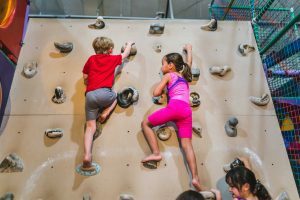 Children are not allowed on the competitive gymnastics equipment or Monster Mountain rock wall. ** Climb Monster Mountain (5,000 sq. ft. rock wall) for an additional $6! See Upcoming Events for closings. 10 Visit Punch Card (free)-receive 1 stamp for every paid admission to Open Play. When you get to 10 stamps, you get a free visit! 5 Visit Punch Card ($45)-good for 5 visits to any Open Play session. 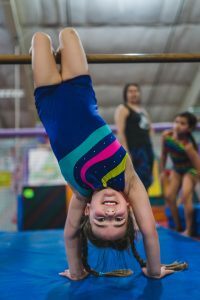 Most sessions are $12 per visit, so you save $15! 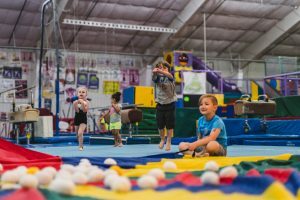 We offer special open play hours that correspond with Holiday and School closings. Check out our Upcoming STOP Events. 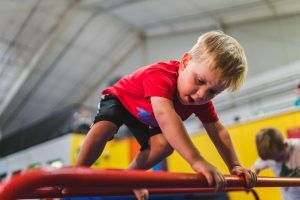 This is a parent supervised playtime for children walking through Kindergarten; includes in-ground trampolines, 12 ft rock wall, rope swing into the giant foam pit, slides, a maze, triple-swing and more. This is a parent supervised playtime for children walking through Kindergarten. Release form required for all participants. We also have release forms available when you walk-in. Do you LOVE Open Play?! We offer a 6 Visit Punch Card for $30; buy 5 visits and get one free! Our staff assists parents to guide their child through obstacles courses, games and interactive activities. 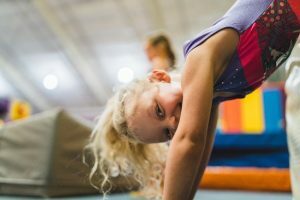 Children will gain confidence and body awareness through gross motor skills, body shapes and modified beginner gymnastics skills. We also offer a special needs Parent-Tot! Click HERE for more info. Perfect party for walking through Kindergarten. Parents supervise activities during Parent-Tot open play. After playtime, you will celebrate for 30 minutes in your party area. We take care of the clean up! Every Monday, Tuesday and Thursday from 2:00-3:00PM. All ages. $6 per child. Adults not allowed to participate. In addition to our regular weekend Open Play sessions, Emerald City offers Special Time Open Play (S.T.O.P.) sessions around holidays and school closings. We update the S.T.O.P. schedule every two months; check back for updates. This is offered for ages 4 through 12yrs. Cost is $12 per participant and we must have a signed release form. Parents are welcome to observe from the mezzanine or drop off and return. Don’t see an S.T.O.P. that fits your school’s closing schedule? We will take your suggestions for additional S.T.O.P.s; call 913.438.4444.